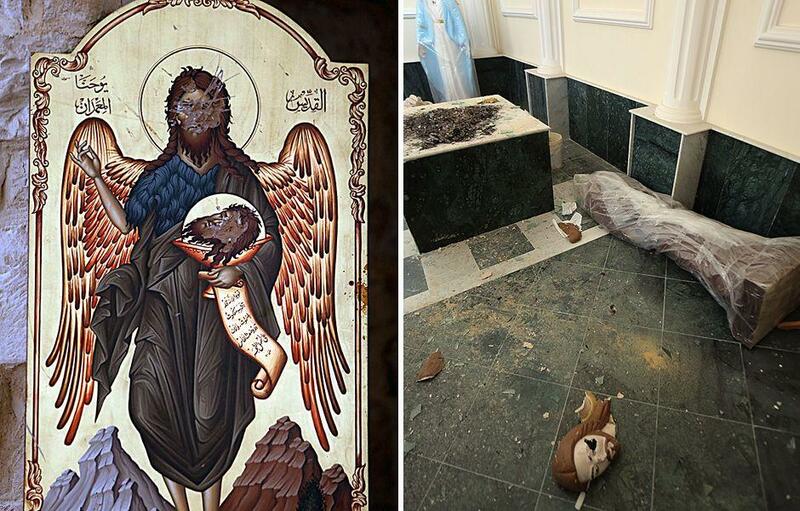 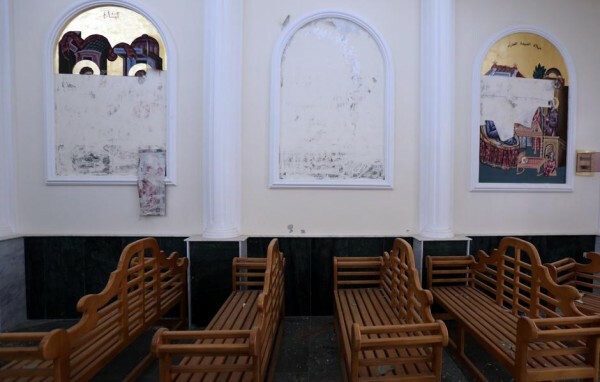 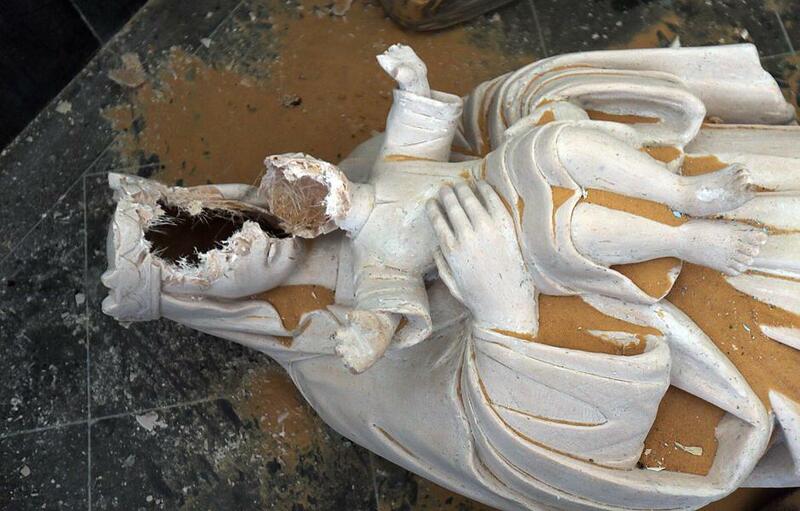 Although the gunmen are gone, their sectarian fingerprint on Yabrud remains. 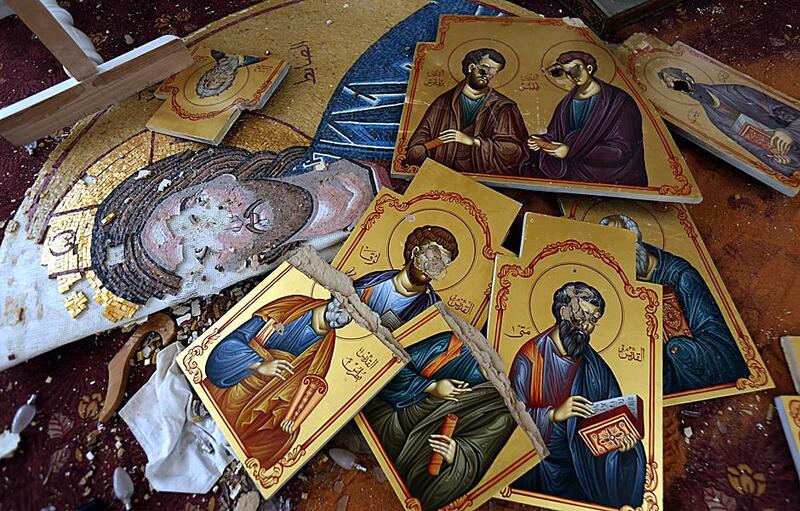 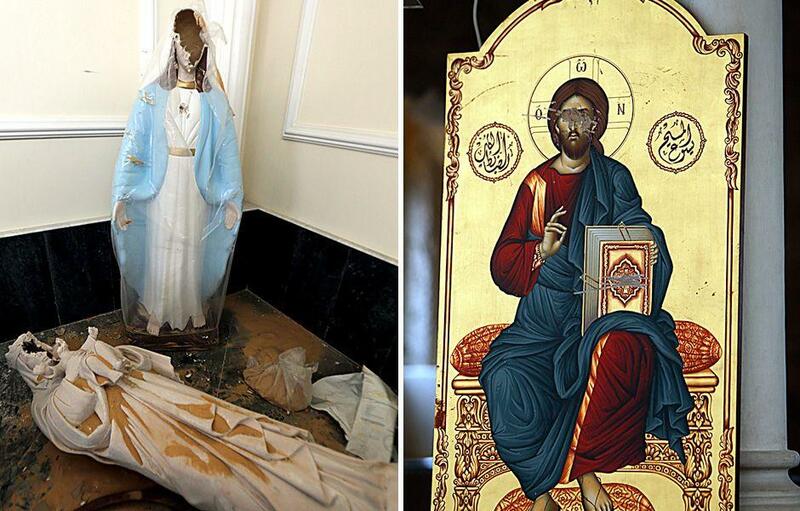 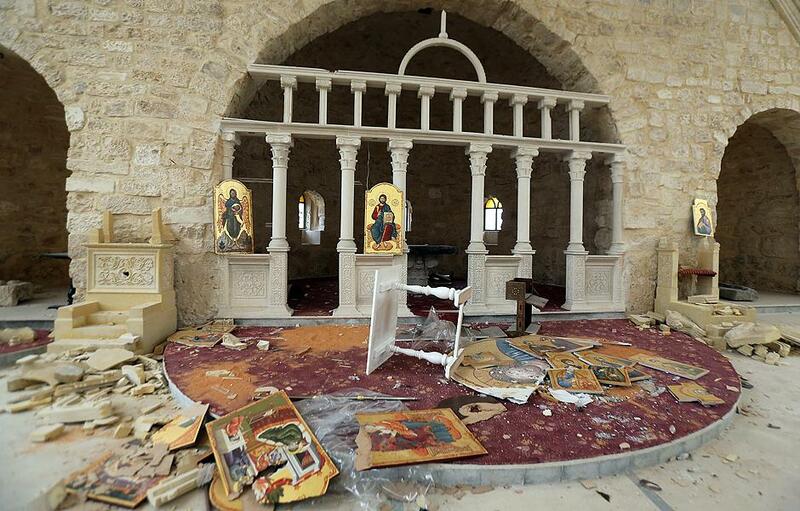 All you have to do is visit St. Mary’s Greek Catholic Church to see the destruction. 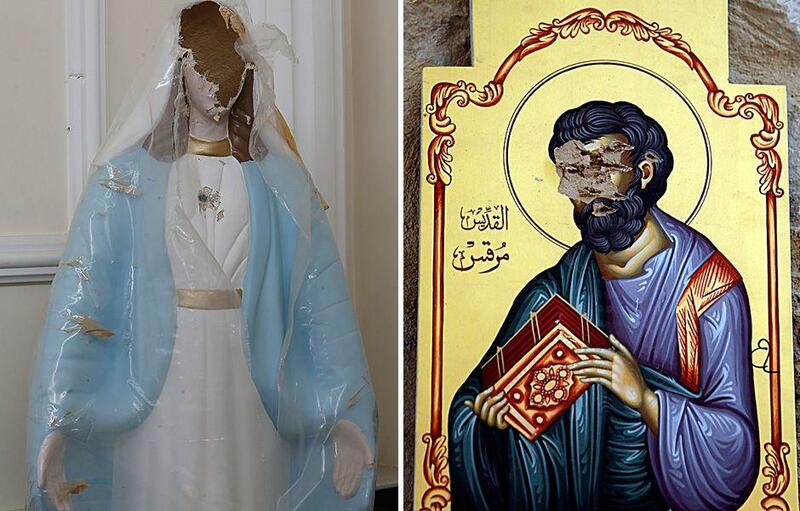 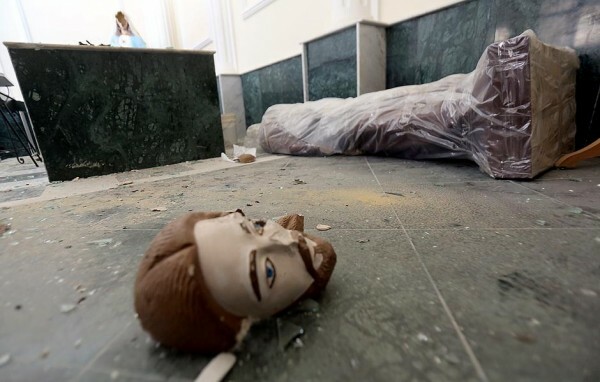 Icons have had their faces scratched out, church pews have been broken, statues of the Virgin Mary and Jesus Christ have been smashed, and the church Bibles have been burned.